This year the Obesity Action Coalition is hosting the 2nd Annual Your Weight Matters National Convention, August 15-18 in Phoenix, AZ. I guarantee it will be a life changing weekend! In an attempt to convince you, I have listed my Top 5 Reasons You Should Attend #YWM2013. #5 – YOU will MOVE during the fitness classes. A variety of fitness classes will be offered during the conference so if you already have an exercise routine the trip will not interrupt your activities. If you have yet to find a workout you enjoy this is the PERFECT opportunity to TRY new exercises in an accepting environment. Last year I attended the Yoga class, to my surprise I already OWNED the instructors DVD, I had just never attempted it. Now that I have participated in the class I am more confident in doing the moves correctly at home. Perhaps you are not quite ready for a structured fitness class or “hello, I don’t exercise on ‘vacation'”, that’s o.k. you will still MOVE during the Sunday morning Walk From Obesity. If you are not able to participate in the Walk From Obesity, please support my participation by making a donation in my name. #4 – YOU will MEET people just like YOU. No matter where you are on your journey to health there are others who are right there, or have been there. 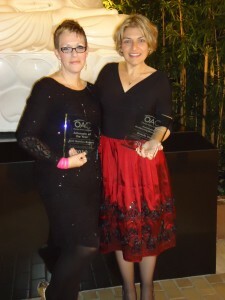 I have been to several weight related conferences in the past 9 years and have met many wonderful people, and made several friends like my pals Eggface and MeltingMama, and yet at each new event I attend I meet and make new friends. Do not be afraid about “being alone” at the event, I assure you, YOU ARE NOT ALONE. We are all in this together, and we are stronger when we join our voices and stories with the OAC. Plus you never know when some weird chick who eats ketchup on her boiled egg asks if she can sit with you at breakfast. <— That was me making a new friend, Asha. #2 – YOU will DANCE. Yes, you will! As I mentioned in #5, this is your chance to try new things in an open, accepting, non-judgement environment. Friday night’s Welcoming Event with be a! So use your imagination to come up with a really awesome costume, or just come as you are. Just be there, and shake your groove thing! 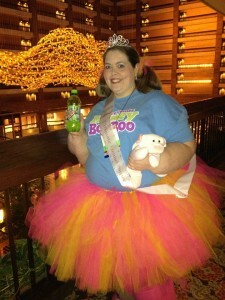 And see if I can keep my title as reigning costume winner! I won as Honey Boo Boo last year, complete with Go Go Juice and Glitzy! 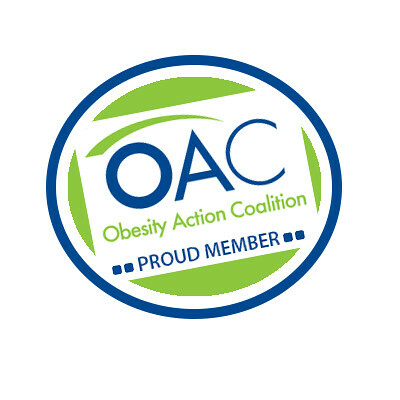 #1 – YOU will ADVOCATE for Obesity! I strongly encourage you to attend the Advocacy Training. 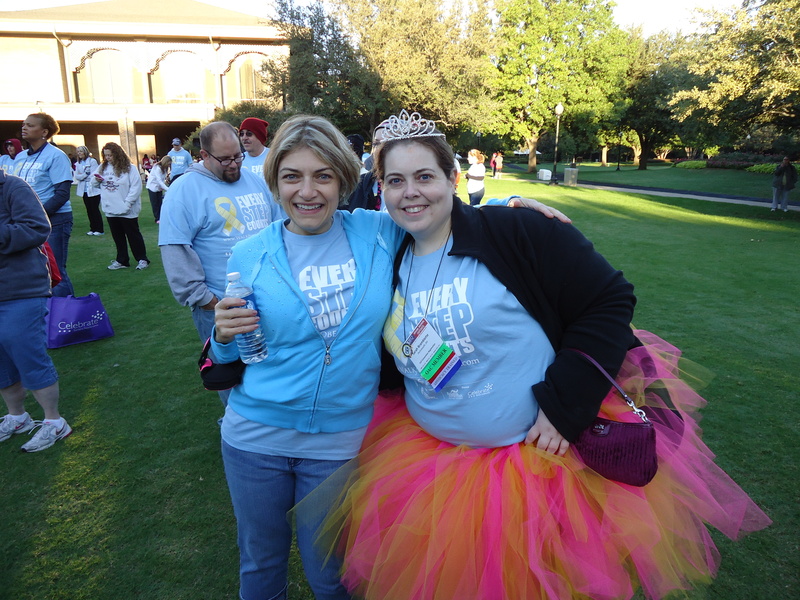 It was by far my favorite part of attending the Inaugural Your Weight Matters Conference in Dallas, TX. Even if you are not able to participate in the Advocacy Training you are still advocating just by attending the #YWM2013. Sharing your story with others, empowering yourself to pursue your health goals, fighting against weight bias and stigma are all important pieces of advocacy. Advocacy against weight stigma and bias is one of the main reasons I joined the Obesity Action Coalition. 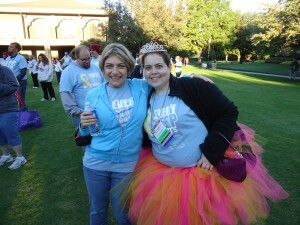 You can read my story, The Part I Want: Advocate in the Your Weight Matters Magazine 2013. Watch my personal testimonial about the Inaugural YWM Conference. But most of all ATTEND #YMW2013 because YOUR Weight Matters!!!! If my Top 5 Reasons successfully convinced you to register for #YWM2013 Convention, contact the OAC in writing at convention@obesityaction.org and tell them Sarah from Born2lbFat referred you so I can be entered into the YWM2013 Recruitment CHALLENGE. Thank you in advance!!! !